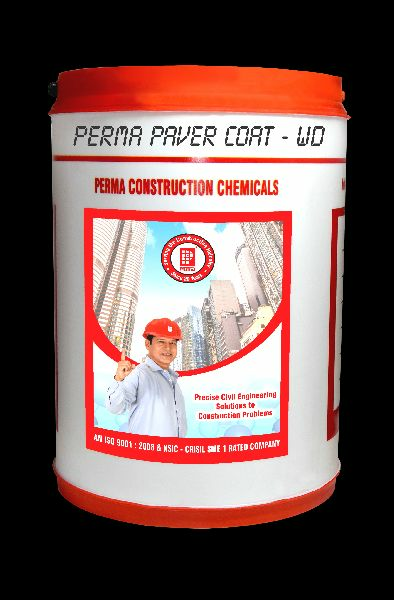 Perma Paver Coat - WD is a milky white liquid which when applied neat or diluted on to a clean and dry pavers, cement tile or stone surfaces gets absorbed deep inside and forms a protective barrier on the surface. it improves the aesthetic look of the surface by imparting gloss or semi gloss to the treated surface. it makes the treated surface resistant to staining and chemical attacks. It binds the surface particles to make the wearing surface strong.